Many of us host workshops, conferences, or otherwise gather groups of people who haven’t met before into the same space for a conversation. Helping people make meaningful connections with one another in those spaces can be the key to a successful engagement — it can help to reduce anxiety among those who don’t love small talk, it can reveal new connections, and it can strengthen the networking experience for everyone involved. In that spirit, we created some simple ways to help people connect and we invite you to use them however you see fit. 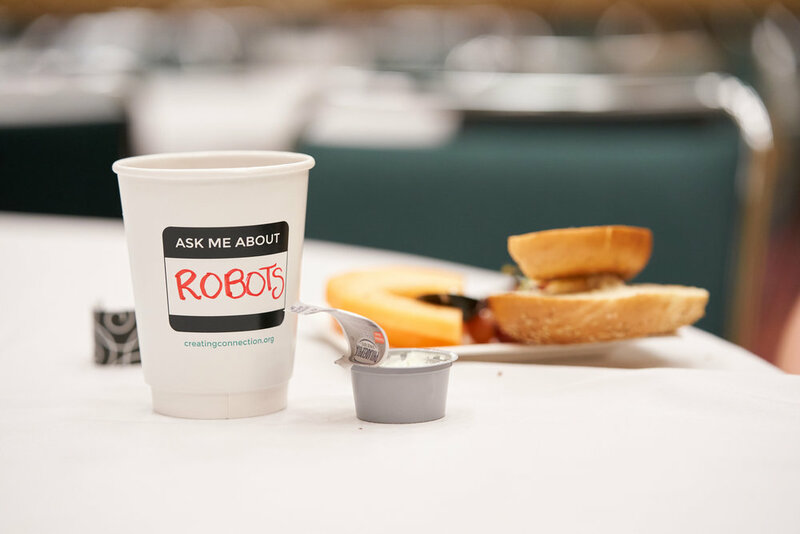 Get the conversation started with these table prompts. 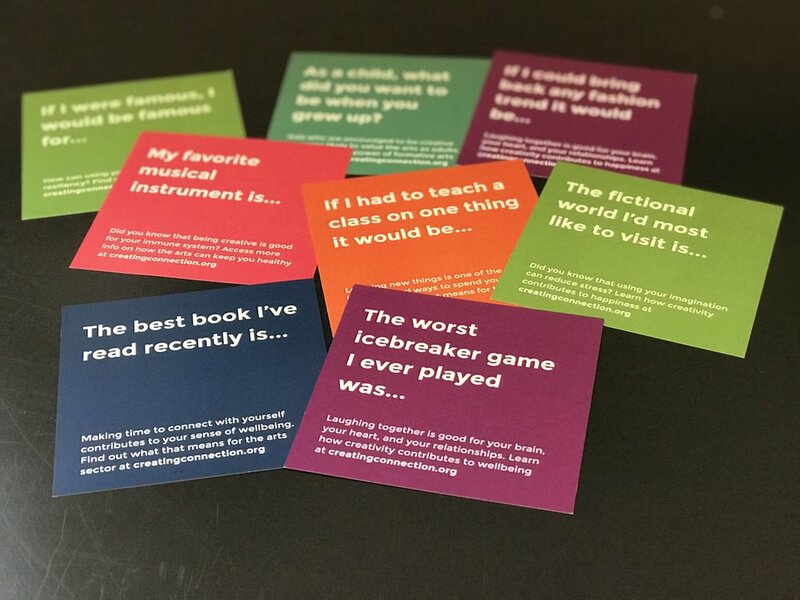 Ranging from the sincere, “The best book I’ve read recently is…” to the silly, “The worse icebreaker game I ever played was…” each prompt includes a brief statement about how the topic at hand can contribute to your sense of happiness and wellbeing. Sending these to an offsite printer? This file should do the trick. Printing them in house? Try this one. Take inspiration from these cups (or contact us for info on how to order them) and help people connect over coffee. Prompts such as “I’m curious about” and “I know about” let you identify what you want to chat about — and what you may learn — from your new colleague. All coffee cup images by Joshua Feist Photography, courtesy of Arts Midwest.